About 3 months ago, I received a call from a Marina based in NY who found us through a simple search on google. They were in desperate need of professional marina marketing. The owner gave me the rundown of his situation and his objective. 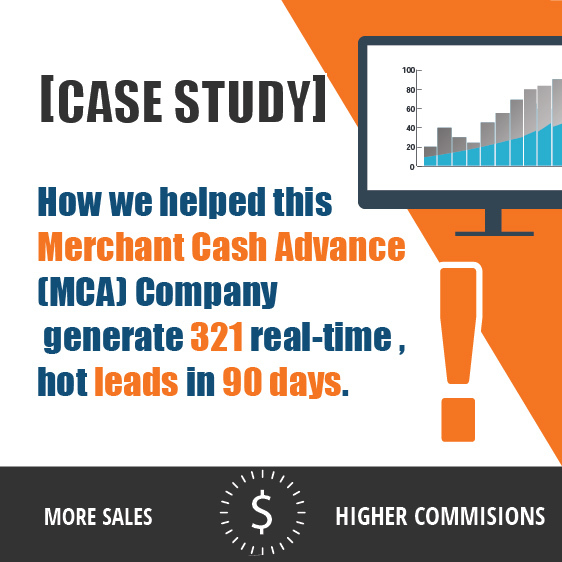 He’d been trying desperately to bring in new boat rental clients for his Marina by using Facebook ads, through a lead form campaign without any concrete results. He quickly found that boat rental marketing just wasn’t his forte. He tried other kinds of campaigns to showcase his boat rental deals, but the results just weren’t what he expected, prospects rarely clicked on the ad to find out more about his boat rentals. Resulting in time, and money wasted. He then thought that Facebook Ads just didn’t work and almost quit on running paid Ads altogether, until he realized that he needed professional boat rental marketing and marina marketing services. 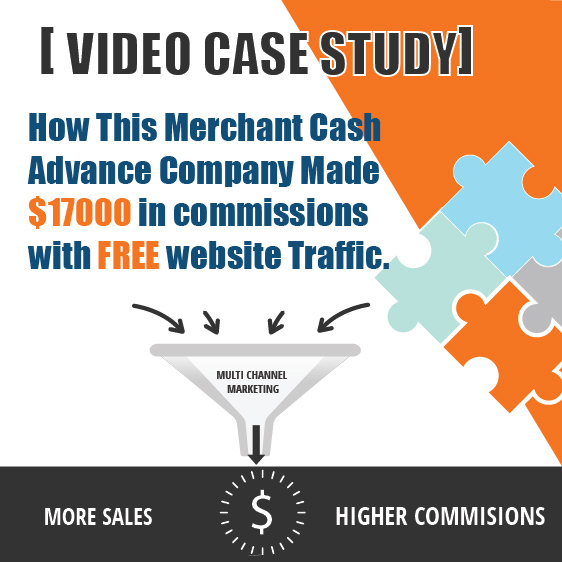 After carefully analyzing what the client previously attempted, we came to the conclusion that a traffic campaign to his website would be the best route to take. We helped him set up a landing page where a prospect is able to view pictures of the boats available for rental; the price per hour, or full day special. 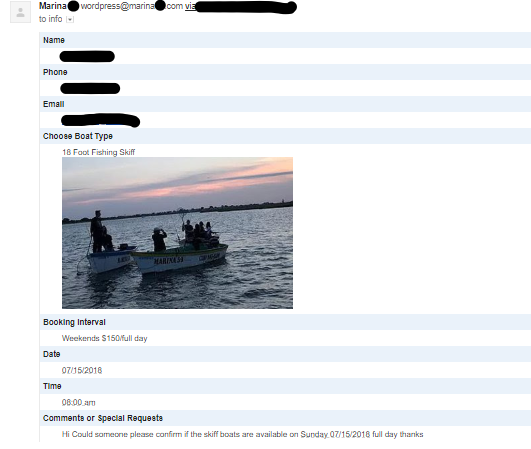 They are also prompted to fill out the reservation form which asks them for their full name, phone number, and email address, along with the time and date they would like to rent the boat for. This way prospects are able to see what they are renting as opposed to just having them fill out a lead form without knowing precisely what they’re getting. After the landing page was finished, we moved on to create the campaigns with detailed demographics that generated these fantastic results. From April 27th, 2018 to July 11, 2018, the marina marketing campaign generated…. From these numbers, we received 1 boat sale at the price of $4,600; 8 boat repair requests that generated a little over 4,000 dollars, and 56 boat rental Leads that raked in $10,355 in only 11 weeks! That’s a total of $18,955 in revenue against $2,551.89 on ad spend. These results are easily replicated, and can only increase as time goes by, and the campaign is further optimized. 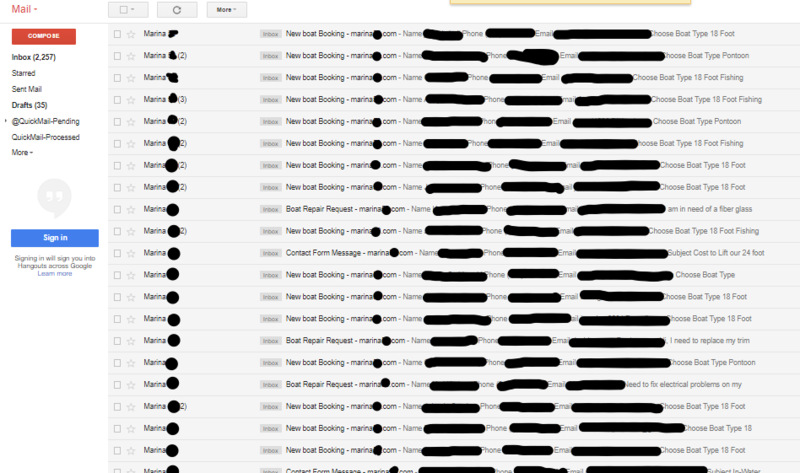 These images display our numbers, the leads that come in, and the amount of leads we got over the last few days. We are the industry leader in local marketing. Through our acquired success, we seek to replicate these results for many more Marinas that are in need of help with their marketing and their boat rental marketing strategy. We can help with all facets of your marina’s marketing needs, and we’re only a phone call away to help you achieve results in a short amount of time! At Local Marketing Stars, we take pride in generating our client’s positive results. 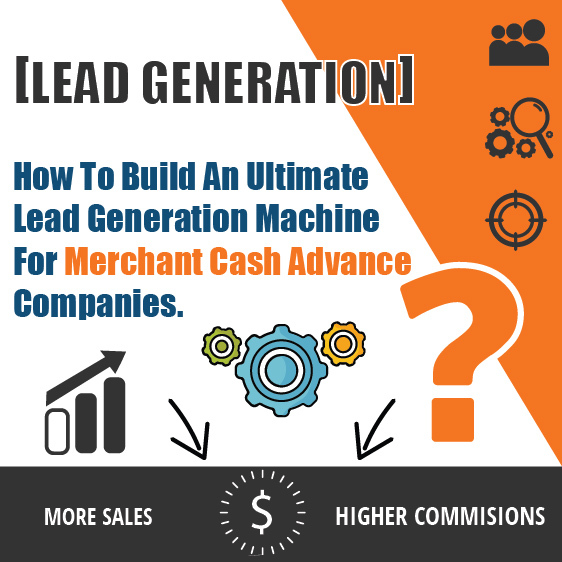 It is why we only accept 3-4 new clients per month to fully achieve exponential growth in both new leads and revenue with our proven, data-driven online marketing system. We love meeting awesome new people and want to be a partner in your success. If we can’t help you, we’ll do our best to put you in touch with people who can!